Three castles – These aren't gray hairs, these are highlights! 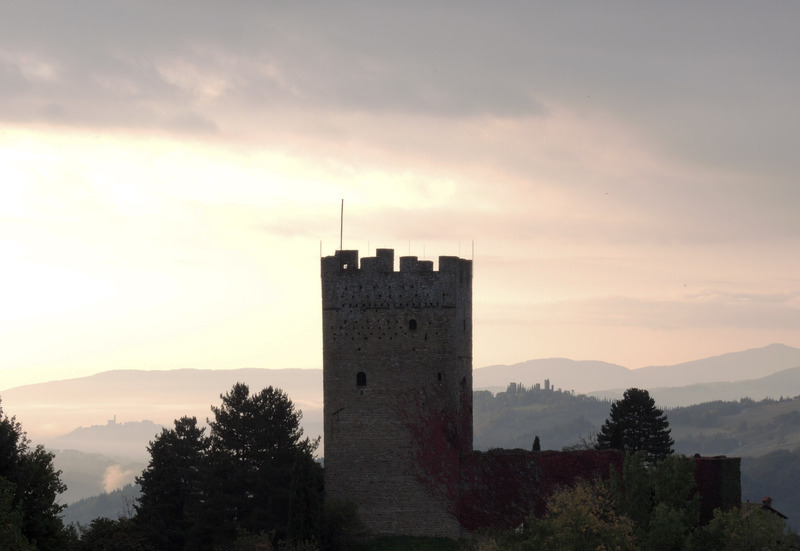 Earlier this week, I took a walk up a nearby hill, from which I could see three castles: Castello di Porciano, Castello di Romena, and Castello dei Conti Guidi – Poppi. They are joined in the history of the Casentino Valley and each is special in its own way. From left to right: Castello dei Conti Guidi – Poppi, Castello di Porciano, and Castello di Romena. I wrote about my first visit to Castello di Porciano here. On this visit, I’m staying at a cottage on the grounds, learning more about the area, and appreciating how wonderful it is to be perched high on a hill, with views of the valley and the other two castles. 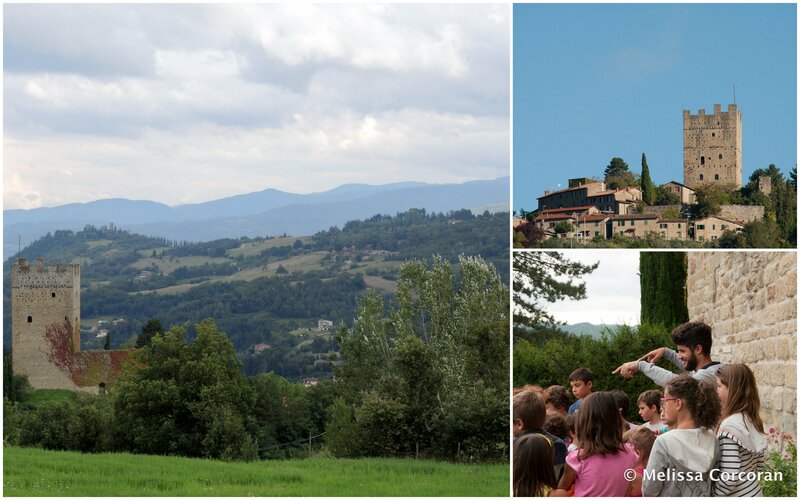 Clockwise from left: Castello di Porciano, with Castello di Romena in the distance; the castle and village from the town of Stia; the curator of the museum at a children’s event. 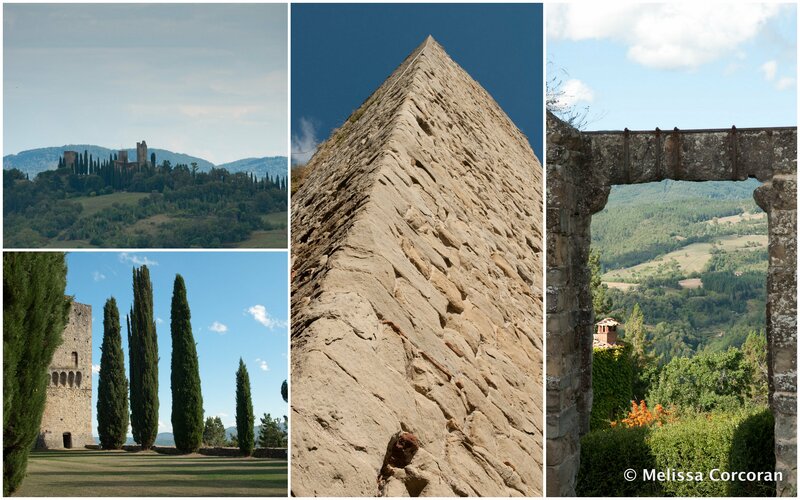 Clockwise from top left: Castello di Romena as seen from Porciano; one of the towers; view through a wall of the surrounding hills; the castle grounds. The third castle is Castello dei Conti Guidi – Poppi. Visiting this castle was on my ‘must do’ list and I enjoyed every minute of my time there. I learned a lot of history that day and even better, my interest was piqued to learn more. One of the best parts of the castle for me is the Rilliana Library – entering these two rooms of ancient books and manuscripts was like entering a church. I also enjoyed my climb of the bell tower, although I had to make sure I was out of the tower before the bells rang at noon or I would have been deafened! The views from the top were spectacular. 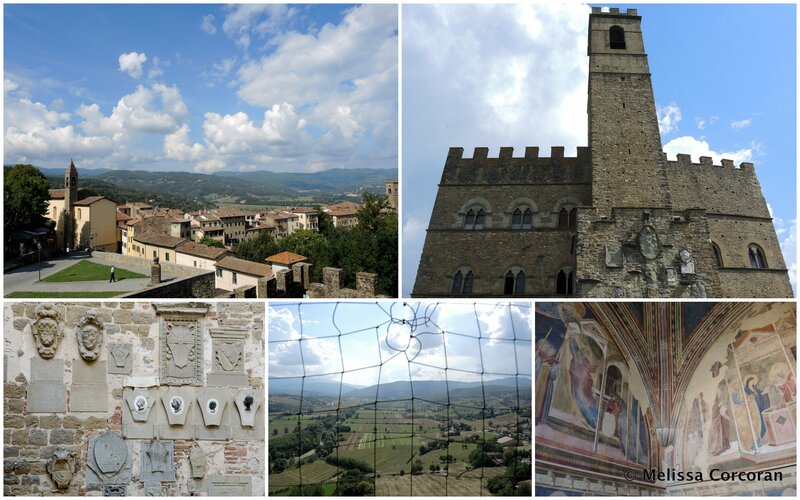 Clockwise from top left: Poppi from the Castello dei Conti Guidi – Poppi; the castle; frescoes by Taddeo Gaddi in the chapel; a view of the countryside from the bell tower; stone medallions. Three castles and I love them all! I love this! Oh how I wish I could be there… but you made me feel like I was for a few moments! I blame Mom and Dad for me not being born Tuscan.